« Los Gatos Skatepark Petition – Yes, Again! Need to buy goodies for Valentine’s Day, Mardi Gras, St Patrick’s Day, Halloween, birthdays, retirement parties or any other special event? The best place in Los Gatos for party favors, decorations, pinatas and fill is Affordable Treasures. If you have never been to Affordable Treasures, let me tell you, it is aptly named. The prices are fabulous. It is the ideal place to purchase balloons, streamers, paper plates and inexpensive trinkets. 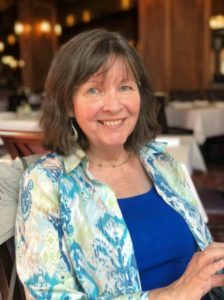 If you’re filling a pinata for a birthday or goodie bags for kids, it’s a great place to see things that are truly affordable and in non-Costco sizes. There are also some gag gifts and costumes to be found as well. Whether you’re having a party or just looking for low-cost gift items, this is a super place to go. There are some fun things in there which make great “care package” items for college students too. Just beware: it gets really crazy in there just before any major holiday! 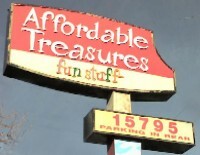 Affordable Treasures is located at 15795 Los Gatos Boulevard and you can find them on the web at AffordableTreasures.com.